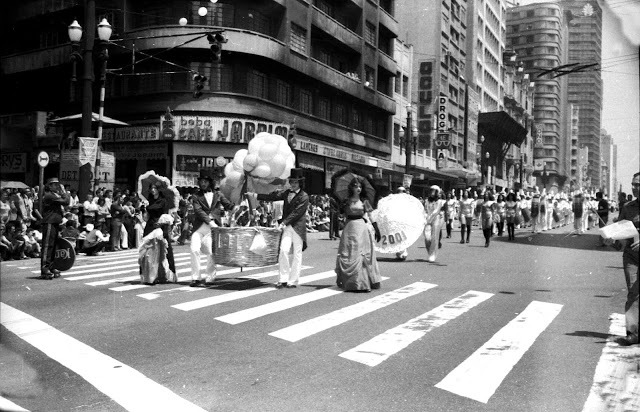 By the time of Brazil's celebrating its 150th anniversary of its Independence from Portugal on 7th September 1822 - Brazilians had been living under a Military Dictatorship for 8 long years. The regime - because of its own insularity - was awkward when it came to celebrations that needed participation of huge crowds. Differently from the Vargas Dictatorship (1930-1945) the Military Dictatorship (1964-1985) was 'cold and damp'. It did not have an apparatus as to organize popular big celebrations. So when it came to 7th September 1972 what you saw were dragging parades with no vitality whatsoever. Avenida Sao João corner with Rua Dom Jose de Barros... 7th September 1972. 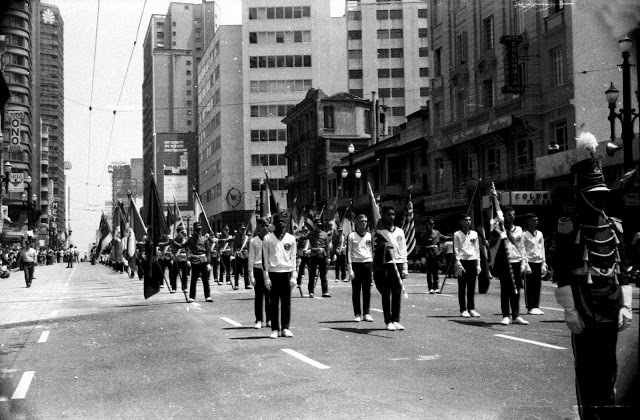 Where are the crowds to watch the 7th September 1972 parade? Avenida Sao Joao actually looks desolate.